This tiny little shop tucked away in Tai Hang serves an array of icy treats in the shop’s signature black cones, as well as standard bowls. 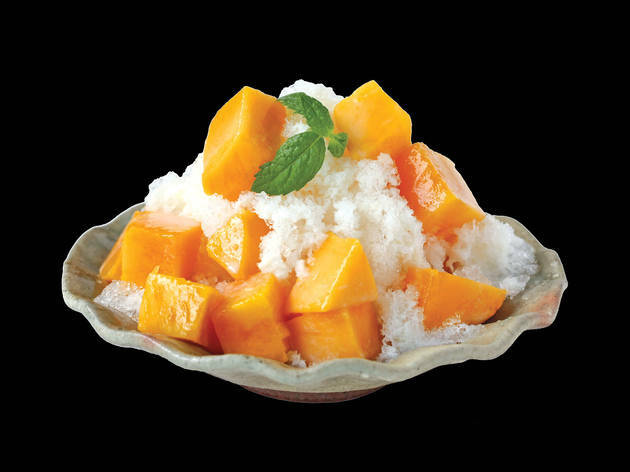 Each serving is packed full of shaved ice for Japanese style ‘kakigori’ and the toppings are to die for. There’s salted caramel kakigori with banana and sliced almonds as well as colourful rainbow creations. There’s even one served with ice cream, fashioned into the face of a bear. Too cute to eat, almost. Prices start from $58. K-fever isn’t cooling down anytime soon and this Korean option continues to pull in the punters at Harbour City. 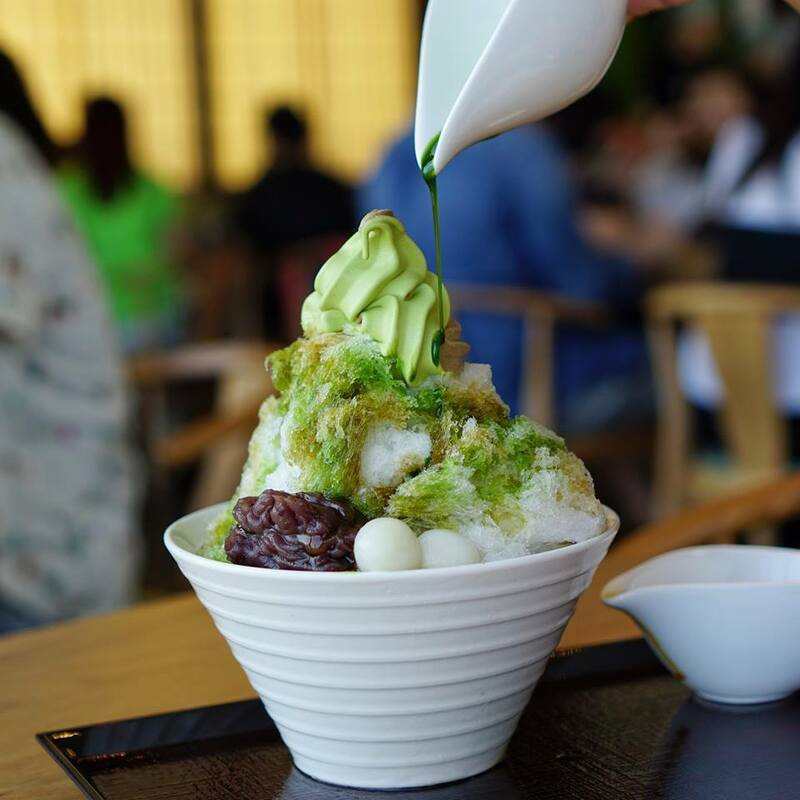 There’re tempting flavours like Oreo and Jeju green tea but the more traditional injeolmi snow ice dessert is the must-try here. 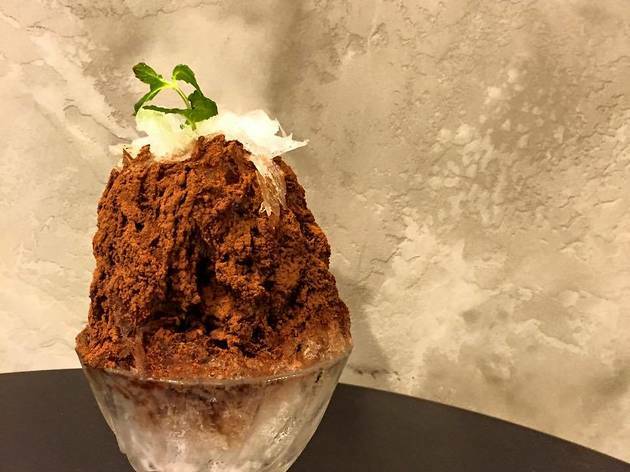 Created with ice made from fresh or condensed milk and shaved to feathery perfection, the huge bowl is topped with toasted soya powder, mochi, red bean paste and almond flakes. 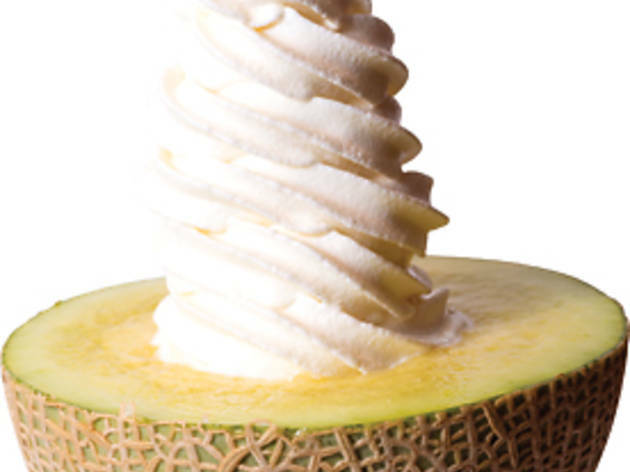 A winner in taste and texture. $51. The kakigori with soft serve combo at Nakamura Tokichi is darn good – evidenced by the constant queues here – and more so when shiratama (Japanese sweet rice dumpling) mochi balls enter the equation. The Uji kin ice comes in four flavours: matcha, hojicha, brown sugar or a combination of the three. 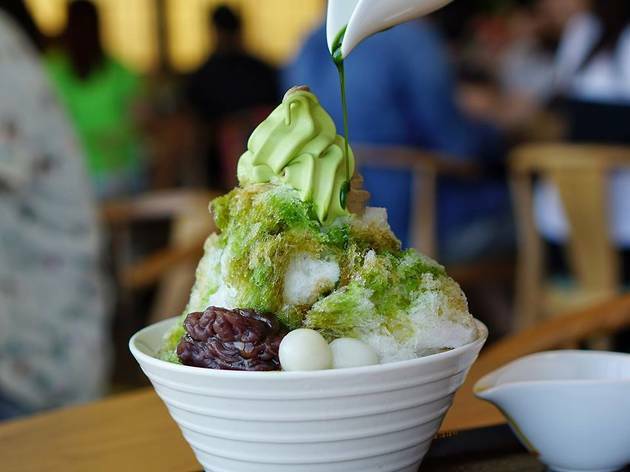 Topped with Hokkaido red bean paste and shiratama, the ice is shaved using a machine specially imported from Kyoto to ensure quality on par with the historic original outlet. Prices start from $98. This small joint tucked away down a cul-de-sac in Causeway Bay is a simple space, in Japanese minimalist fashion, serving a range of desserts including kakigori made from ice imported from Hokkaido. 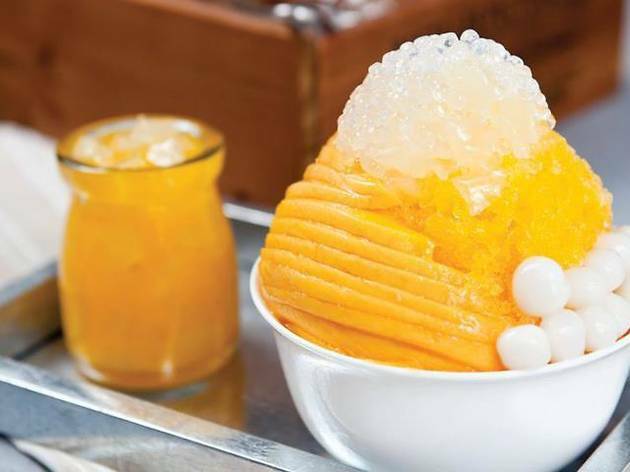 The superior quality of the water there makes for cleaner tasting and silky smooth ice – perfect when piled with cream, syrup, fruits and mochi. The enticing flavours include tiramisu, sakura and warabi mochi and more. The strawberries and cream kakigori is pretty in pink and the heavenly combination of fluffy ice and sweet, smooth cream is delightful. Prices start from $50. Humidity’s rising, barometer’s getting low. According to all sources, The Dessert Kitchen’s the place to go. 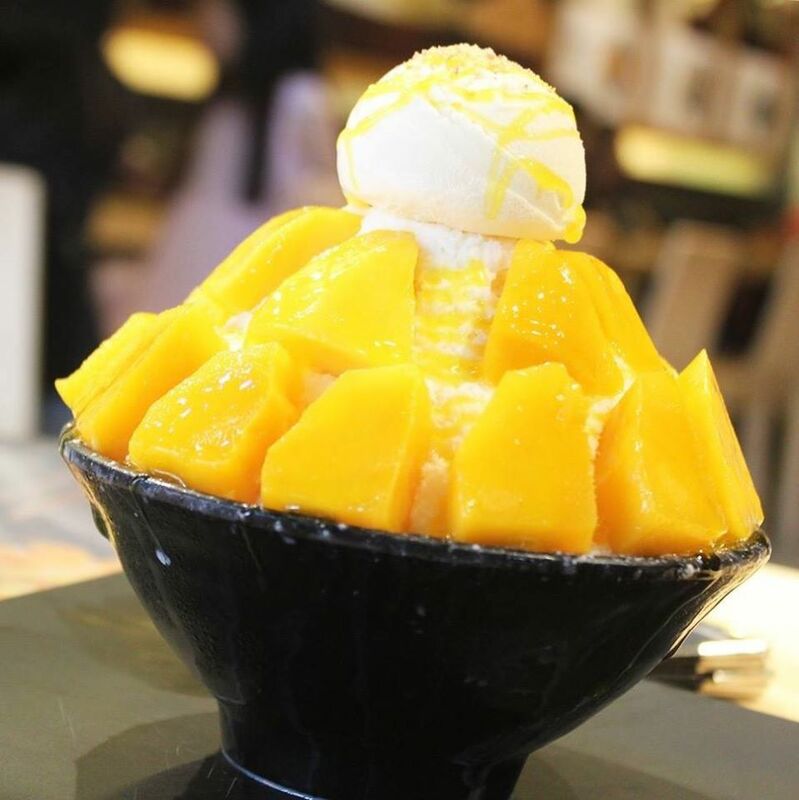 This spacious café on the ground floor of Hau Fook Street serves an array of Asian desserts. 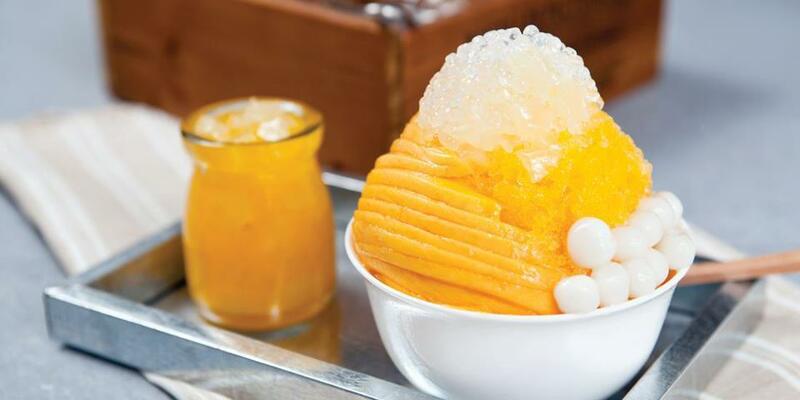 The star of the show is the beautiful Taiwanese shaved ice with slices of mango and taro ice cream mochi. Or the chocolate shaved ice with banana. 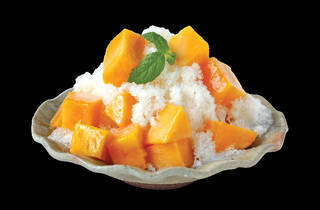 Or the coconut shaved ice with mango. Or, in fact, all of them. Prices start from $47. 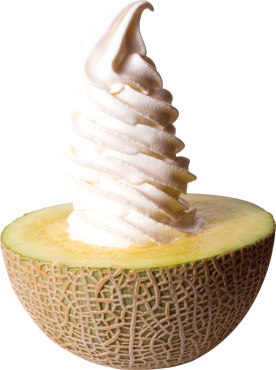 Prepare to wait in line for your ice-cold treat if you visit Via Tokyo at the weekend. 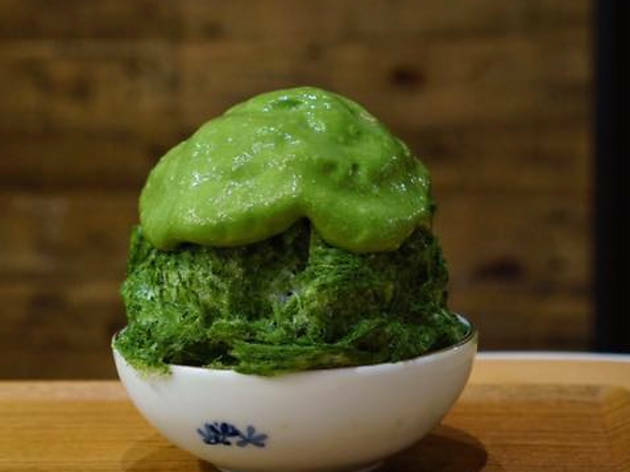 The dessert café specialises in Japanese soft serve ice cream, with flavours from matcha green tea and Hokkaido milk to seasonal tea-based offerings. 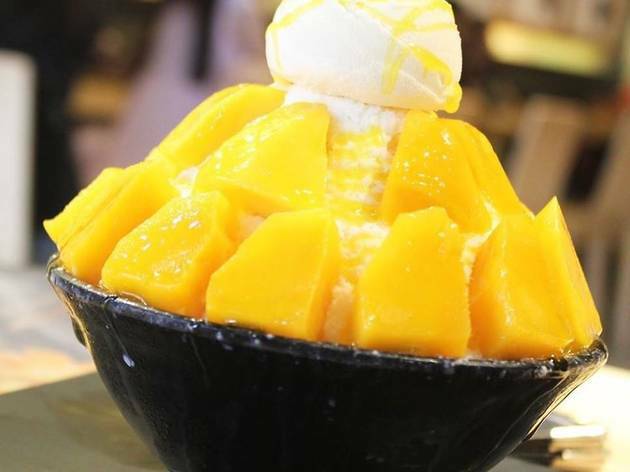 Exclusive to their Tsim Sha Tsui location is kakigori. 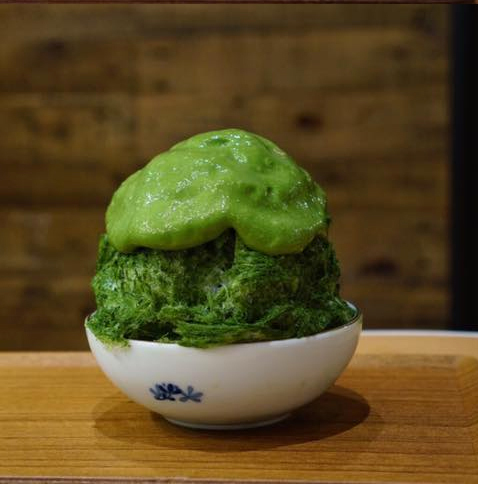 Our favourites are the matcha and hojicha options topped with espuma – definitely one of Hong Kong’s best cold treats. Prices start from $75. Because there’s never a bad time to have ice cream in Hong Kong.